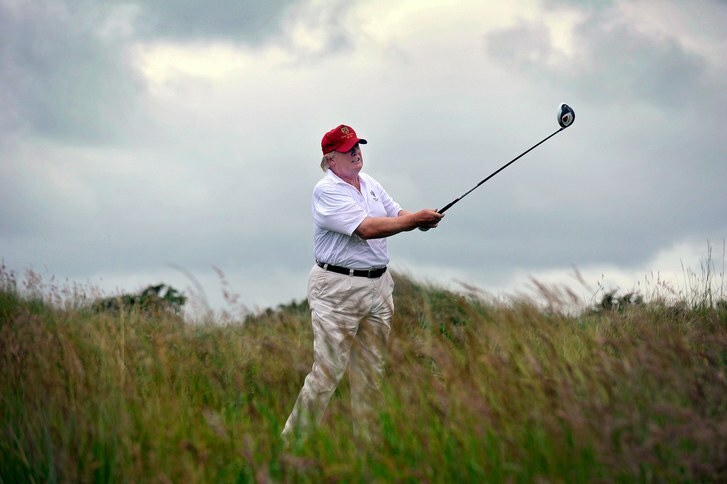 Trump on the Golf Course: He Cheats at Every Hole, at All 18. Donald Trump is a winner, also on the golf course. Etiquettes or game rules are of no importance. Sports journalist Rick Reilly spoke with caddies and fellow golfers and concluded that the president is truly unbeatable. Donald Trump is a winner, also on the golf course. Etiquettes or game rules are of no importance. Sports journalist Rick Reilly spoke with caddies and fellow golfers and concluded that the president is truly unbeatable. In the thirty years that I have known Donald Trump, I have never believed what he said, but the fun was that I always assumed that he too did not understand it. I was once at his office in the Trump Tower. He pulled out a laminated yellow card from his wallet and threw it on the massive desk as if it were a trump card.